As we already know, Android software updates typically last for two years following the launch of a device. This goes for pretty much every OEM, although, not every device sees that type of support. However, when it comes to Google and its lineup of Nexus devices, the company is usually quite good about supporting its smartphones and tablets. 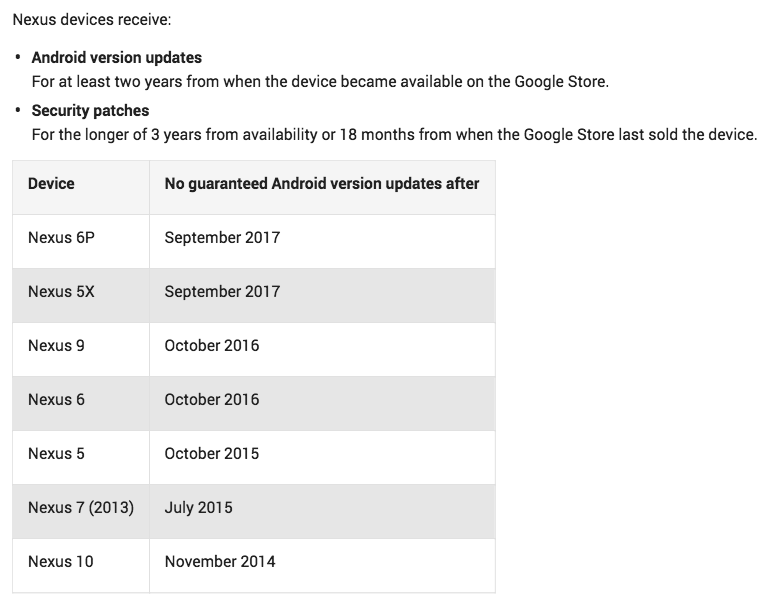 Listed on a support page this week, Google is now detailing the timeframes that owners of these select devices should start really thinking about an upgrade. For Nexus phones and tablets, the Android software updates will last “at least” two years, but for security patches, the updates will continue for about three years after launch. 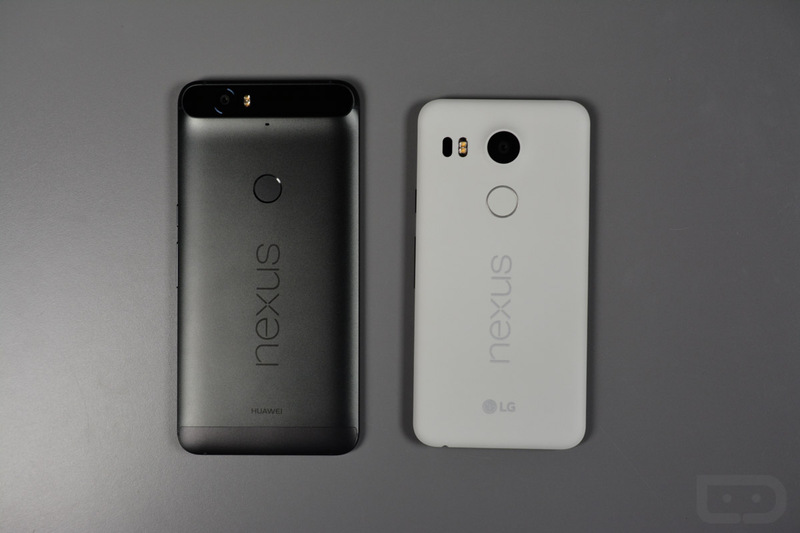 To cite the list, this means that the Nexus 6P and Nexus 5X should see support into the deep part of 2017, but sadly, the Nexus 9 is soon to meet its demise this October. Oddly enough, many will note that the Nexus 6 (the whale) is not listed. Why this is, who knows, but I suspect it will also see the update support for at least two years, which would be around November of this year. Look over the list, then get excited about the fact that we should have a new Nexus device announced in the coming months. New Nexus phones are always something to get hyped about. UPDATE: Google remember the Nexus 6 and so we’ve updated the list below.